American tuner Hennessey has unveiled a 774 bhp Ford Mustang GT which managed to reach a top speed of 207.9 mph (334.5 km/h). Equipped with the latest HPE750 package, the Ford Mustang GT packs no less than 774 bhp (577 kW) at 7,000 rpm and 648 lb-ft (878 Nm) of torque at 4,400 rpm. It's basically an evolution of the HPE700 (717 bhp & 632 lb-ft) from last year and thanks to the extra oomph it can run the 0-60 mph (0-96 km/h) sprint in 3.4 seconds while the quarter mile is done in 10.9 seconds at 133 mph (214 km/h). The top speed test was conducted by professional driver Brian Smith at the Continental Tire Proving Grounds on the 8.5-mile long high speed oval located in Uvalde, Texas. 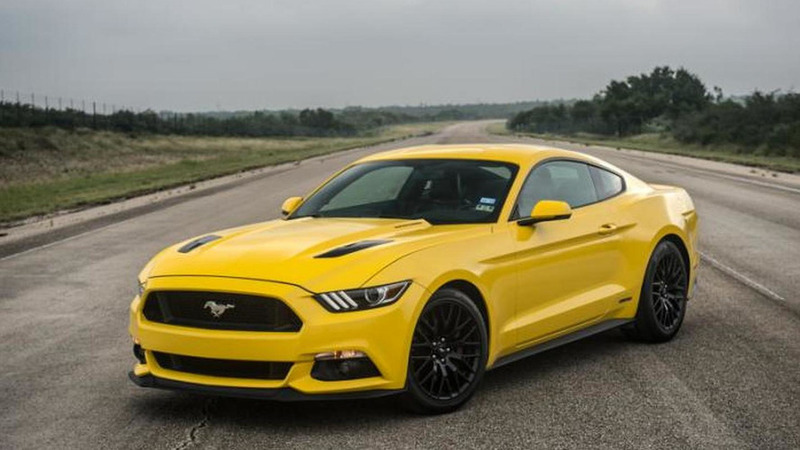 It's the same venue where Hennessey tested the HPE700 kit back in February when they managed to reach 195 mph (314 km/h) and now the extra power allowed the tuner to crack the 200 mph barrier in a 2015 Mustang GT after hitting 207.9 mph (334.5 km/h). Two tests were conducted and the speeds were validated with Racelogic's VBox 3i GPS data logging system while Jay Leno was on location and witnessed the record-breaking attempt. 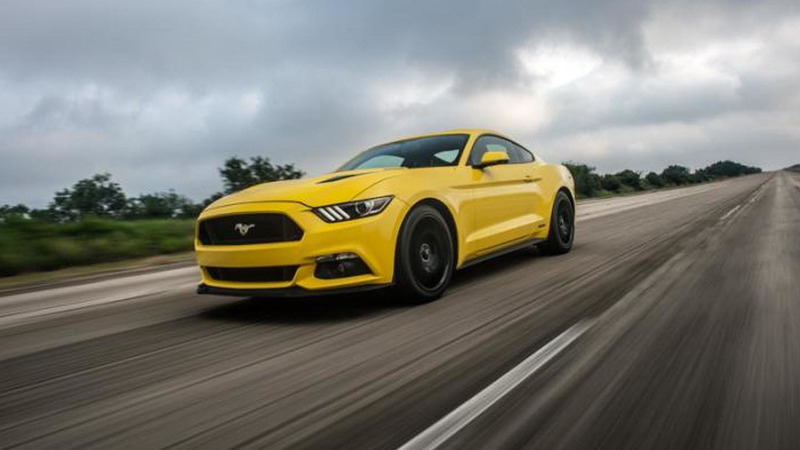 Hennessey says they will offer only 500 supercharger kits for the 2015MY Ford Mustang GT.